Every parent thinks their child is special. But have you ever thought that maybe your child was uniquely special—perhaps to the point of having special abilities? If so, there’s a strong possibility that your child is a psychic. It could be that your kid mentioned something in passing that later came to be true. Or maybe your child has spoken about a person or a described a past event that you know you didn’t tell them about. These are nothing to be startled about. Rather, these are just a few of the signs of a child with psychic ability. 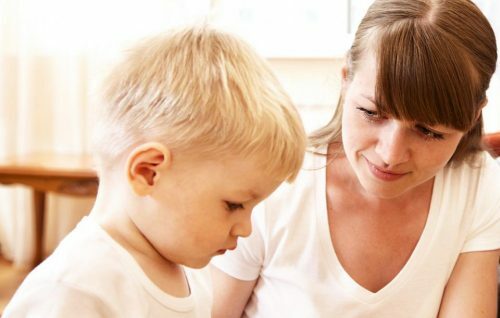 If you’ve ever wondered whether your child has unique abilities, read about the 10 signs to look for to see if your little one is indeed a psychic. Psychic childrenPsychic children are able to sense things beyond the realm of normal human perception. Much of this visionary power has to do with their enhanced empathy. In average people, empathy is the ability to imagine oneself in another’s perspective. Empathy is also what allows us to relate to another person by having experienced what that other person has gone through. 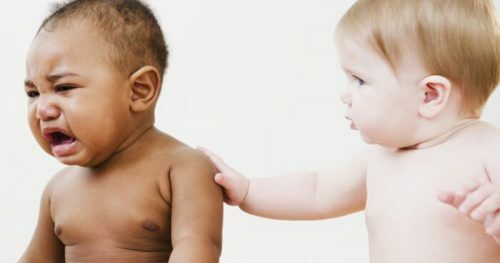 But with psychic children, empathy is not just the ability to think about another person’s emotions—it can literally feel another person’s emotions. They can pick up on another person’s emotional energies and feel unspoken emotions or thoughts. Their enhanced empathy is part of how they are able to perceive or understand another person without even needing language to do so. Along with their empathic abilities, psychic children have a heightened sensitivity to their environment. Maybe you’ve had the experience of going into a house and sensing a strong energy or spirit that isn’t tied to the people who currently live there. It’s the kind of experience that some people associate with a haunting. But sometimes it’s not the presence of something so much as something about the environment itself that alerts your senses. This happens because even seemingly ordinary objects, like an old wooden armoire or a hallway, can retain the energy of the past residents. Psychic kidsPsychic kids are able to pick up on these energies to an even greater degree because of their heightened senses to everything around them. When they are young, they may not be able to articulate what it is they’re picking up on. But that awareness is there, and kids can often feel the force of these residual energies. Has someone ever told you your child is special? Or do you notice that people are more drawn to your child than others around them? This could be an effect of the child’s psychic gift. 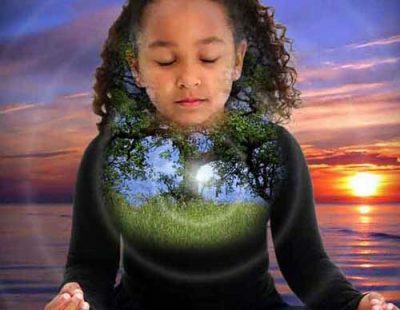 Psychic children not only take in energy but they also powerfully give off energy. Often in children, these are very positive energies that make other people feel an overwhelming joy. Children that are psychic have the ability to elevate the moods of the people close to them. If it’s not happiness, it could still be some inexplicable feeling that makes them drawn to your child. Whatever feeling it is that they induce, psychic children can have an effect on the people around them. 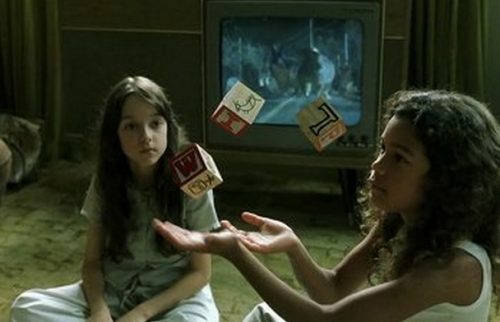 Psychic kids operate differently than average people. This is because they don’t always need spoken language to communicate. Their psychic abilities have to do with an expanded consciousness. For children, that comes with an ability to communicate without words or gestures. When it comes to animals, they are able to connect with them on a much deeper level that goes beyond language. 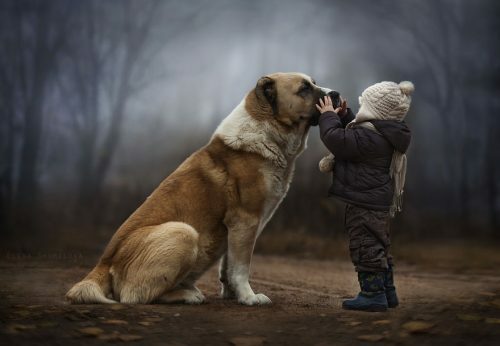 If your child is especially drawn to animals, this is a good chance that it is because their unique ability allows them to communicate with each other. Sometimes children will surprise you with their instincts about certain people or events. Your child might say “That’s a bad person,” to someone who was perfectly nice. Or the child might say “She’s sad,” even when the person is smiling. Or maybe your child doesn’t want to go somewhere because they simply have a bad feeling. Psychics are clairvoyant, meaning they have special instincts that allow them to see deeply into a person’s soul or pick up on the energies surrounding a place. Has your child ever spoken to you about a deceased relative? Or maybe they remember a loved one who passed away before the child could have formed any memories about that person? This is another sign that your child is psychic. Loved ones, especially family members, have lingering connections to the people they’ve left behind on earth. Psychics are able to connect and communicate with these people precisely because their vision is not limited to what average people can see. 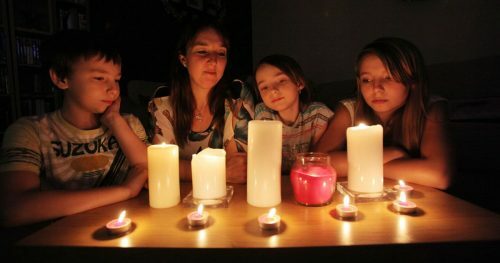 Psychic children also have a strong connectionstrong connection to the spirit world. This is because their psychic ability is a supernatural gift. Perhaps you’ve heard your child speaking to what seems to be an imaginary friend. If so, there is a strong likelihood that they are in fact speaking to an otherworldly spirit. As long as your kid seems happy with this relationship, it is not something to fear. Not all spirits have bad intentions, and it is possible that the spirit your child is speaking to is there to act as a guide in their life. Some psychic kids have such a strong ability to see the world beyond that they still retain memories of a past life. Perhaps your child remembers going to a place you know they’ve never been, such as somewhere overseas. Or maybe they recollect a house they insist they once lived in. These are further signs of your child’s psychic gift, which may be bringing back memories of a past life. One of the unfortunate effects of psychic ability is that it can be disruptive to sleep patterns. The unconscious is the realm where even average people are able to access the world beyond and the unseen world that surrounds us every day. For a psychic child who already has enhanced abilities, the realm of the unconscious can be especially intense. It might be that your kid is on the astral plane while sleeping. This means that they are in fact conscious in their sleep. Regardless of what causes disturbances to their sleep patterns, what is important is to be there for them when they wake up. Children that are psychic need more nurturing than most to reassure them that they are safe in your protection. Kids with psychic ability are extremely creative to the point of being creative geniuses. Creative geniuses often talk about inspiration coming to them from a seemingly outside source. For them, creativity is just another of the many gifts they have because they can connect so well with the world around them. Their psychic gifts allow them to imagine entire worlds. They can make connections beyond what most people with limited vision would be able to do. If your psychic child loves creative projects, support and encourage their creative activities. Creativity is a great outlet for them to express themselves. Above all else, your psychic child will need support from you. Striving to listen without judgment or disbelief will encourage their communication with you, and will indicate that you are open to their talking about their psychic impressions and experiences as they occur. Always try to validate their experiences whether or not they seem to make sense to you and foster an environment of comfort. Try not to react with fear or embarrassment because this can lead to them shutting you out from future communication. They may also internalize shame of their gift from this, and consequently suppress their abilities, which can be harmful to their emotional and psychic well-being. 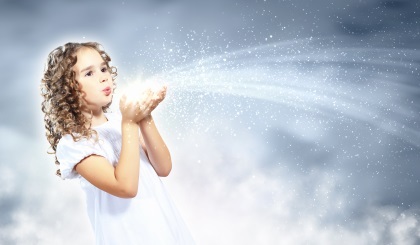 Children with psychic gifts are vulnerable to the energetic drain that can occur from consciously or inadvertently taking on the emotions and energies of others. Teaching your child basic techniques to protect themselves from such drain can be important to ensure they feel safe and secure. 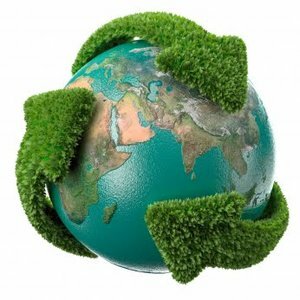 This can include grounding skills, such as practicing meditation or even activities such as yoga or the martial arts. Breathing exercises can be helpful during times of emotional duress as well. An additional exercise for your psychic child involves telling them to imagine they are surrounded by a bubble – or orb – of light. Calling this bubble around them can allow your child to surround their self and their energy with positive energy, keeping any negativity out. Yes, it can be both! 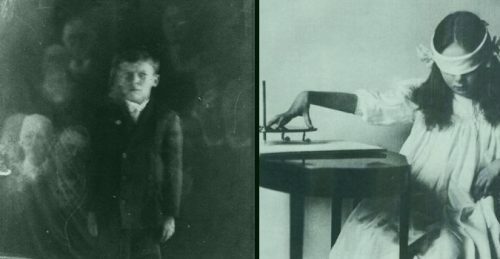 Children with psychic abilities tend to internalize messages that promote the idea that they are in some way ‘wrong’, weird, or strange for having the gifts that they do. This makes normalizing the experience vastly important in order to ensure your child that their gifts are not bad or deserving of worry. Tell them that there are a number of other adults and children all around the world that possess the same kinds of gifts – and if their gifts make them anything, it makes them special. Many believe that children are given psychic abilities for a reason, to serve some greater purpose. Be sure to convey that you are willing to help them find resources that can connect them with others if they are interested. It is important to make sure that your child knows they are not alone, and that they are not ‘bad’ or ‘weird’ for having the abilities that they do. As a part of listening to them as they share their experiences with you, also be sure to ask them for additional ways you can offer your support. Your child may experience nightmares or be fearful about their abilities, and it is important to be able to listen to ways they feel you would be able to best help them. 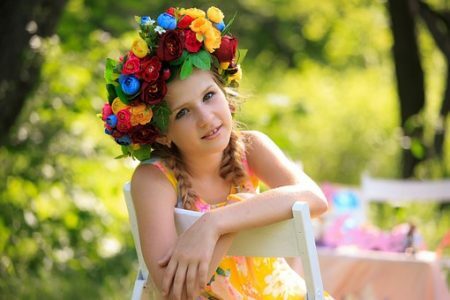 Psychic children often intuitively possess the means to manage their energy, and therefore, have some ideas of what can help. Commonly, this may mean installing a nightlight for their bedrooms or keeping a noise machine to soothe their fears as they rest. However, try not to assume what will help – be sure to ask. Your child’s concerns and needs are valid and important. To the best of your ability, encourage a nutritious diet for your child, including a colorful variety of foods, as well as healthy exercise and movement. 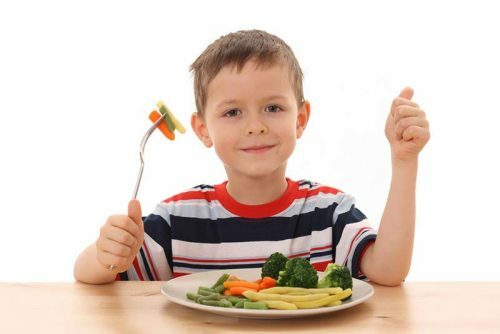 It takes energy to eat and digest food, and consuming a balanced, nutritious diet can help your child stay connected to the positive spectrum of their psychic energy potential. Kids will be kids, so treats are fine, of course, but they will likely feel much more balanced if their diet contains all of the necessary nutrients. Shaming a child for their food choices can also be detrimental to their psychic potential and emotional state, however, so always strive to come from a place of love and understanding. 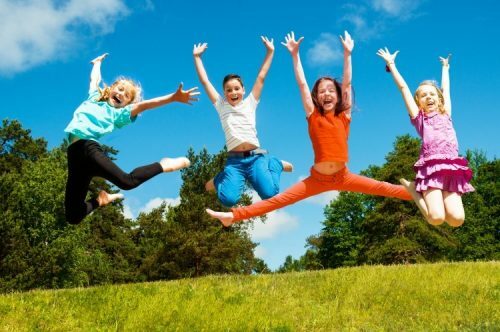 Healthy movement can be positive to maintain a good energy balance for your child as well. Emotionally, it can be very beneficial to engage in physical activity. Keeping a journal of both your experiences with your psychic child, as well as encouraging your child to keep a record of their emotions and experiences can be very beneficial emotionally. 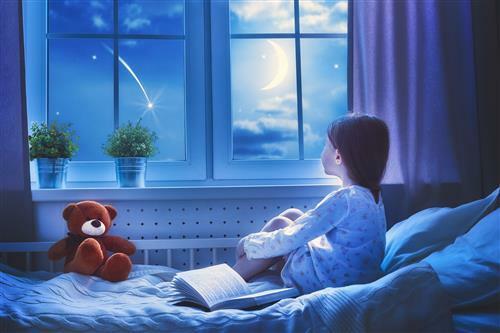 Encouraging your child to record their dreams and psychic experiences can also help you observe patterns and help you and your child to distinguish the true meanings behind them. It is best to record every psychic impression or experience directly as they occur, while the energetic pulls and emotions are still fresh. Although it is not pleasant to think about individuals who may react negatively to the disclosure of your child’s gifts, it is important to remember that not everyone may react with an open mind. Therefore, try to use discretion when you decide who you open up to about your child’s psychic abilities. Follow your heart, and try to consult your child – particularly as they age – about whether or not they feel ready to disclose their gifts to a certain person. Their comfort level in telling others is important, just as your judgment is when they are younger. Strive to be their protector from negative energy, but do not let yourself feel afraid to open up to those you feel would be accepting and understanding of your child’s gifts. They are not anything you nor your child should be ashamed of. Lastly, try to keep things in perspective. Your child is still just that – a child. And they deserve to experience normality just as any child without psychic gifts does. Although the psychic abilities of your child are special, they deserve to be nurtured with the normal love of a parent, as well as be given the same opportunities as other children experiencing their first years of life. Although psychic ability is part of your child’s life, it is not all of who they are. Allow other sides and interests of your child to develop as they discover their own special life path. Love them and their abilities as they manifest into part of who they are, but also be sure to love your child entirely as a being with limitless opportunities and experiences awaiting them.